Faster, safer, more versatile than screws and nails. 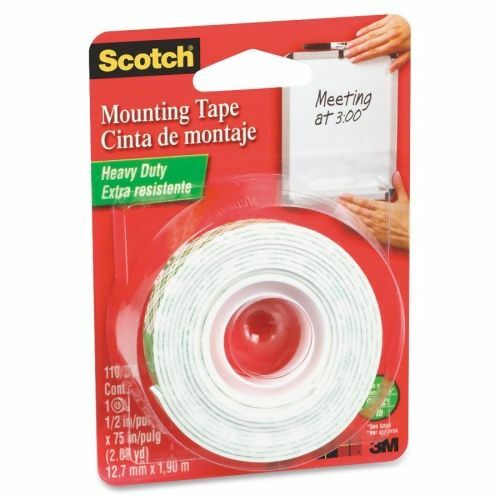 Double-sided, high-density foam tape has a long-lasting adhesive for secure bonding. Readily mounts to a variety of surfaces. Great for mounting signs, plaques, picture frames, name plates and more! Holds: Up to 2 lbs. 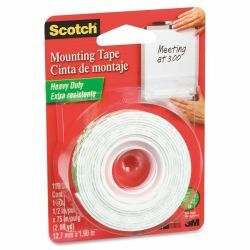 ; Permanent/Removable/Repositionable: Permanent; Mounting Application: Double-Sided Adhesive; Width: 1/2 in.